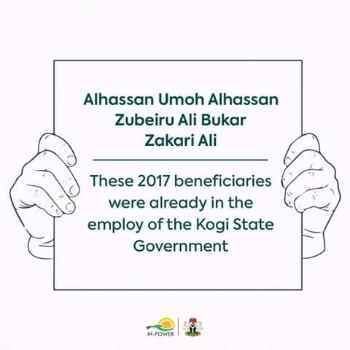 These 2017 beneficiaries were already in the employ of the Kogi State Government. We have warned 2017 Beneficiaries in employment elsewhere to exit the NPower programme but it appears many think we are joking. We have begun sweeps and will find out the fraudulent ones. Anyone caught will be exited from the programme and reported to the Police.